For more than 25 years, Armenia occupies 20 percent of Azerbaijan’s territory of Nagorno-Karabakh and seven other regions of the country, President of Azerbaijan Ilham Aliyev said addressing the General Debate of the 72nd Session of the UN General Assembly, held in New York. Ilham Aliyev noted that Nagorno-Karabakh is an ancient and historical part of Azerbaijan. He then reminded about the Khojaly genocide, committed by Armenia. “Armenia committed genocide against Azerbaijanis in Khojaly. Khojaly genocide is already officially recognized by more than 10 countries. On February 26, 1992, Armenia committed a war crime, killing 613 peaceful residents of Khojaly, among them 106 women and 63 children,” he said. Ilham Aliyev noted that one of those war criminals who committed that terrible crime against humanity is the current Armenian president. He reminded that leading international organizations adopted resolutions demanding withdrawal of Armenian troops from the territories of Azerbaijan. “In 1993, the UN Security Council adopted four resolutions, demanding immediate and unconditional withdrawal of Armenian troops from the territory of Azerbaijan. Other organizations, such as Organization of Islamic Cooperation (OIC), the Non-Alignment Movement, the OSCE, Parliamentary Assembly of the Council of Europe and the European Parliament adopted similar decisions and resolutions. Armenia doesn’t implement them,” he said. Ilham Aliyev went on to say that Armenia for 24 years has been ignoring the UN Security Council resolutions, and unfortunately it is not punished for that. The president went on to add that in some cases the UN Security Council resolutions are implemented within days. “In our case, it is 24 years that the resolutions are not implemented. This is a double standard approach, and it is unacceptable,” Ilham Aliyev said. “International sanctions must be imposed on Armenia. One of the important reforms of the UN must be the creation of mechanism of implementation of the resolutions of the Security Council. Armenia does everything to keep the status-quo unchanged, block substantive negotiations. The co-chairs of the OSCE Minsk Group – France, Russia, the US – on several occasions stated that the status-quo is unacceptable,” he said. “The question is – how can this corrupt, failed state, ruled by a despotic, medieval regime afford to violate the international law for so many years, and ignore the resolutions of the UN Security Council and statements of the leading countries of the world? And the answer is – double standards,” he said. Ilham Aliyev went on to add that there is no international pressure on the aggressor, no international sanctions imposed on Armenian dictatorship. “This policy must be stopped. Such a policy towards the aggressor is not only a demonstration of injustice, it also creates the illusion that the Armenian dictatorship can continue its policy of terror,” he said. The president went on to remind about the April 2016 attack of Armenia on Azerbaijan. “Last April, Armenia committed another war crime on the line of contact attacking our citizen villages. As a result of this attack, six Azerbaijani civilians were killed – among them one child – and 26 civilians were wounded. Hundreds of our houses were destroyed,” he said. The president went on to say that Azerbaijan had to defend its citizens. “As a result of a successful counter-attack, Azerbaijan liberated some territories in three occupied regions of Aghdere, Fuzuli, Jabrayil, and installed its national flag on the liberated territories,” said the president. “Armenian leadership should not forget this lesson. Otherwise, the result of next Armenian provocation will be more painful for them,” he warned. President Aliyev said that losing on the battlefield, Armenia uses its mean policy of attacking Azerbaijani cities and villages. “On July 4, 2017, a targeted attack on Alkhanli village in Fuzuli district by Armenia with 82 and 120 millimeter mortars and grenade launchers killed two civilians, two-year old Zahra Guliyeva and her grandmother,” he said. “On August 7, 2017, a 13-year-old boy in Tovuz region, bordering with Armenia, was wounded by Armenian soldiers,” noted the president. International community must stop Armenian fascism and terror, he said. He went on to add that Azerbaijan is committed to peaceful resolution of the conflict, but at the same time, will defend its citizens in line with the UN Charter, if Armenian military provocations continue. “And if necessary, we will punish once again the aggressor, as it was done in April of 2016. Armenia-Azerbaijan Nagorno-Karabakh conflict must be resolved on the basis of international law, relevant UN Security Council resolutions, and territorial integrity of Azerbaijan must be completely restored,” said the president. President Aliyev added that despite the enormous difficulties caused by Armenian occupation, Azerbaijan develops rapidly and successfully. “Azerbaijan is an active member of the UN. In 2011, Azerbaijan was elected as a non-permanent member of the UN Security Council. One hundred and fifty-five countries voted for Azerbaijan. Absolute majority of states demonstrated their support for Azerbaijan and its policy. For the country, which at the time was only 20 years old, this was a great success,” he said. Ilham Aliyev went on to say that Azerbaijan is a modern, democratic country. He further noted that Azerbaijan is one of the world’s most recognized centers of multiculturalism. “Multiculturalism is a state policy in Azerbaijan. Representatives of all ethnic groups and religions live in Azerbaijan in peace and harmony,” he said. The president went on to say that in Azerbaijan 2016 was declared the Year of Multiculturalism and 2017 – the Year of Islamic Solidarity. 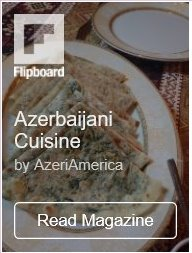 “Unlike Armenia, where there are almost no national minorities, which is a mono-ethnic country, and where xenophobia is a state policy, Azerbaijan is a multi-ethnic country. Cultural, ethnic and religious diversity of our society is our big asset. Armenia, where Islamophobia reached its peak, committed many acts of vandalism, destroying all our mosques on the occupied territories,” Ilham Aliyev said. He went on to say that Azerbaijan hosted numerous international events, aiming at strengthening interreligious dialogue. Among them are Seventh Global Forum of UN Alliance of Civilizations, World Religious Leaders Forum,” he said, adding that Baku also four times hosted the Forum on International Dialogue and five times – the Baku International Humanitarian Forum, as well as other important events. “Being the member of Organization of the Islamic Cooperation (OIC) and the Council of Europe, Azerbaijan in 2008 launched the “Baku Process”, which is supported by the UN. Main goal of the “Baku Process” is to strengthen dialogue, partnership and cooperation between the Muslim world and Europe,” he said. President Aliyev went on to say that in 2015 Azerbaijan hosted the First European Games, where 6,000 athletes from 50 countries took part. “In 2017, Azerbaijan hosted the Fourth Islamic Solidarity Games, with almost 3,000 athletes from 54 countries. 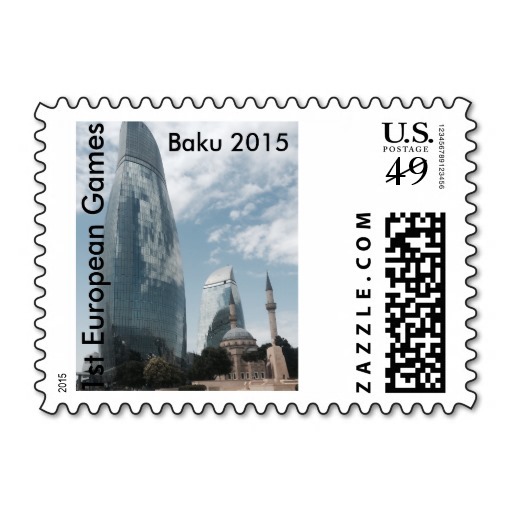 In two years’ time, in our capital Baku, European and Islamic games took place. This was also a great contribution to the promotion of multiculturalism. Azerbaijani team took the second place at the First European Games and the first place at the Islamic Solidarity Games. 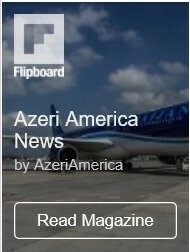 This shows that Azerbaijan is one of the leading sporting countries of the world,” said the president. “Another proof of our sporting achievements is that Azerbaijan was number 14 at the Rio 2016 Olympic Games with respect to the number of medals. In total, Azerbaijan won 18 medals,” said Ilham Aliyev. Azerbaijani president went on to say that the country achieved big progress in social and economic development as well. “Since 2004, Azerbaijan’s economy grew more than three times. More than 1.6 million jobs were created in our country. The level of unemployment [in Azerbaijan] is one of the lowest in the world – 5 percent,” he said. Ilham Aliyev went on to add that one of Azerbaijan’s priorities was the reduction of poverty. “In 2004, the level of poverty in the country was 40 percent, now it is 5-6 percent,” he said. “Hard currency reserves equal to the country’s GDP. Foreign state debt is less than 20 percent of the GDP,” he said. Ilham Aliyev also reminded that Azerbaijan was assessed as leading reformer of the world in 2009 by the World Bank’s Doing Business Report. “Based on the Davos World Economic Forum’s Global Competitiveness Report for 2016-2017, Azerbaijan is ranked number 37 among 138 countries,” said Ilham Aliyev. He went on to say that in 2015, Azerbaijan received the 2015 South-South Award in recognition for its outstanding achievement in implementation of millennium goals, and since 2010 the country has been classified as a country with high human development. Azerbaijani president also noted the rapid development of the country’s space industry. “Two telecommunication and field observation satellites, AzerSpace and AzerSky, and the third one, AzerSpace-2 to be launched soon, made it possible for our country to become member of the world’s space club,” he noted. Ilham Aliyev went on to say that today Azerbaijan exports not only industrial and agricultural but also intellectual products. “State agency for services and social innovation to citizens – ASAN Service, is a modern model of public relations and service,” said the president, adding that ASAN provides 251 services under one roof. “The rate of public appreciation of ASAN Service is 98 percent. In 2015, in recognition of its contribution to excellence, creativity and considerable simplification of delivery of public services, ASAN received the UN Public Service Award,” said the president. He went on say that Azerbaijan’s policy is to make the lives of the country’s citizens better. “Since 2004, the salaries grew in our country by 5.6 times. Pensions grew by 8.2 times. Without foreign financial support we built almost 100 new settlements and towns for refugees and IDPs (internally displaced persons), suffering from Armenian occupation,” Ilham Aliyev said. “Until today, the living conditions of more than 250,000 people were improved and they were provided with new houses and flats,” said the president, adding that 152 schools, 59 medical centers, 60 kindergartens were built in these towns and settlements. “In general, since 2004 more than 3,000 schools, more than 600 hospitals and medical centers were newly built and renovated,” he said. The president went on to add that the level of literacy in Azerbaijan is close to 100 percent. Further, he said that every year, more than 5 million people, half of the country’s population, get their medical checkups, totally financed from the state budget. Ilham Aliyev went on to say that Azerbaijan plays an important role on the global energy market. “Being a reliable supplier of oil and gas to international markets, Azerbaijan is providing energy security to many countries of the world. Today, Azerbaijan together with its international partners, is very close to the completion of the Southern Gas Corridor project. This project of $40 billion worth of investment, is one of the largest infrastructure projects in the world,” he said. The president further said that another important priority is transportation. “Situated between Europe and Asia, Azerbaijan is wisely using its geographical location to become one of the leading transportation hubs in Eurasia. Relatively recently, Azerbaijan built six international airports, 11,000 kilometers of modern highways and roads,” he said. “Azerbaijan has the biggest trade fleet in the Caspian sea, with 270 vessels. Modern shipbuilding yard of Azerbaijan is capable to build all types and sizes of ships,” he said. President Aliyev also said Azerbaijan is modernizing its railroad infrastructure. “Absolute majority of our territory is covered by railroads. Next year we will inaugurate the international trade sea port which will be the biggest in the Caspian region,” he said. Ilham Aliyev said Azerbaijan is largely investing in East-West and North-South transport corridors. “Both routes crossing our country will be the shortest routes from East to West and from North to South,” he said. In conclusion, President Ilham Aliyev noted that last year Azerbaijan celebrated 25th anniversary of restoration of the country’s independence. “Successful development of Azerbaijan once again shows that only when you are free and independent, when the destiny of a country is in the hands of its people, you can achieve success. The biggest happiness of the people of Azerbaijan is that we live in an independent country, which conducts independent policy. Policy, which is based on national interests of its people,” he said.